Excuse Me, Yahoo! 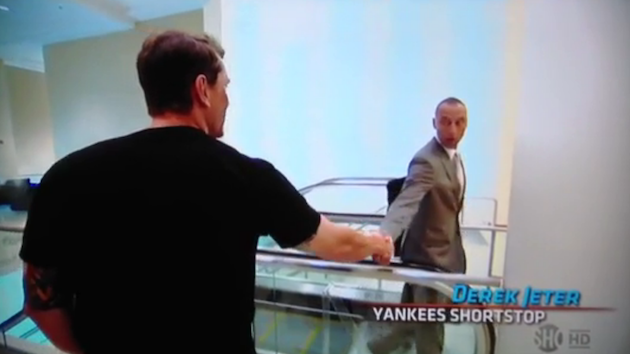 Sports… Jeter Did WHAT To LoMo? 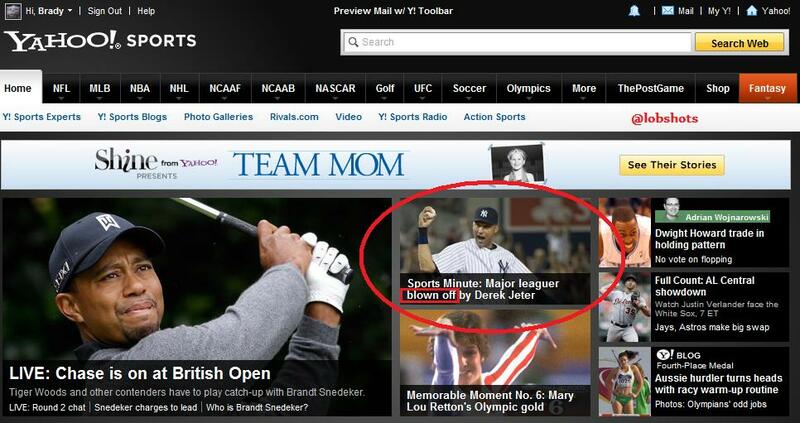 “Major leaguer blown off by Derek Jeter.” That’s good stuff right there. Jeter’s even got the victory fist-pump going. Yahoo! is, of course, referencing the scene on Showtime’s series, The Franchise: A Season With The Miami Marlins, where Logan Morrison, our first ever Man Crush, shakes hands with Jeter, who has no clue who LoMo is. Video of the encounter here. I’m guessing Yahoo! Sports could’ve probably-possibly-maybe-definitely captioned that photo a bit differently. Also, please take special note of my avatar for my Yahoo! fantasy sports account in the top left corner of that screengrab. Falcor, FTW. This entry was posted in Baseball, MLB, News and tagged Derek Jeter, Logan Morrison, lomo, Major leaguer blown off by Derek Jeter, Marlins, The Franchise: A Season With The Miami Marlins, Yankees. Bookmark the permalink.